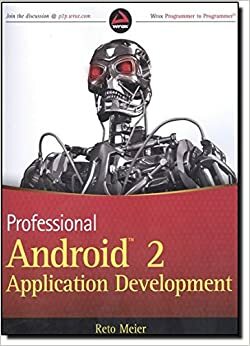 If you are just looking for a sample, the publishers of Professional Android 2 Application Development have all their example code available for download and there is a compass application in chapter 14. Click on “ADD” , Type in a name of your choice, I just use “Android ADT”. In the source box provide the following URL “https://dl-ssl.google.com/android/eclipse”and click OK . Eclipse is going to query the address we provided and in a few moments it will provide us we a set of plugins, namely Android DDMS and Android Development Tools under Development Tools. Select the parent, i.e., “Development Tools” and click “Next”. Accept the Terms of service and continue. Pick up a book such as Hello Android. It's an easy read to skim through to pick up the basics of Android. I also bought this book buy Reto Meier. You can also learn a lot by reading some of the more popular questions on Stackoverflow tagged Android. Poke around some open source projects. There are some popular ones such as FourSquare that you can look at. Here is a list on Wikipedia. I also wrote about some of my first experiences on Android here with my open source app.